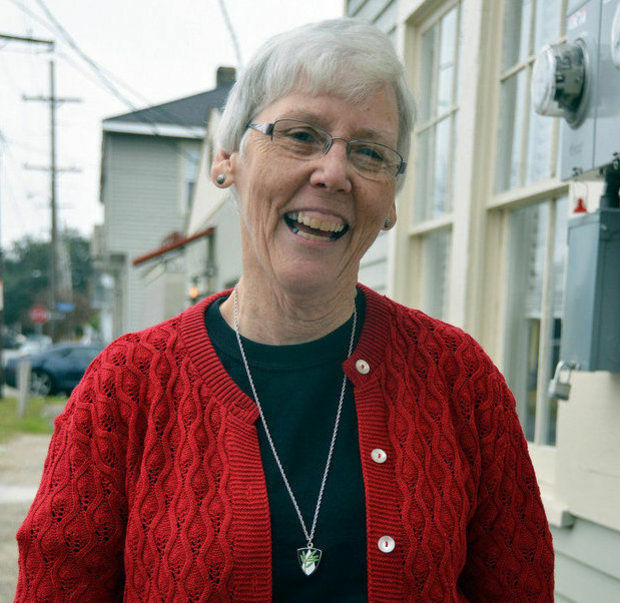 Sister Suzanne Brauer, 67, was working at St. Paul the Apostle Church on Chef Menteur Highway when she realized she would be evacuating New Orleans because of Hurricane Katrina. Brauer left in a van with four other sisters and headed to Kentucky. “Nobody was prepared,” she said. A month later Brauer returned to New Orleans. “Thirty years of notes, and charts, and pictures from work in religious education were gone. I felt stripped. “The whole place was eerie. Everything was so dead, there was no grass, there were no flowers. Brauer is thankful, though, for all the help she and the sisters received. “One of the things that I just so remember is the number of people who reached out to help us. “My faith was the sustaining factor. If we didn’t have a sense that God was with us, and protecting us, and helping us, I don’t think we could have survived. My Katrina Story is published Mondays on NOLA.com. The My Katrina Story project is a multimedia partnership between the Loyola University School of Mass Communication, the Center for the Study of New Orleans and NOLA.com | The Times-Picayune. Follow the My Katrina Story project on Instagram at #MyKatrinaStory and Facebook at My Katrina Story. Do you have a Katrina story to share? Email masscomm@loyno.edu.